Your participation is crucial to our budget campaign’s success. Below is a timeline of the state budget process that lets you know important dates in our campaign from January to July. Want to stay informed on the latest issues affecting civil legal aid funding in Massachusetts, and know when the critical times are to contact your elected officials? Sign up for our action alerts here. 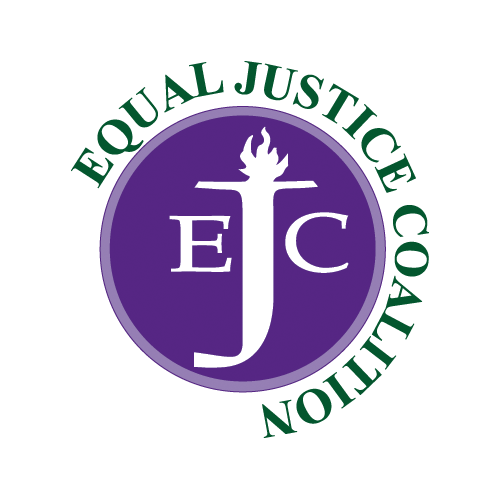 The EJC’s legislative funding campaign calls on state lawmakers to adequately fund the Massachusetts Legal Assistance Corporation (MLAC) line item in the Fiscal Year 2020 state budget. View MLAC’s Budget Fact Sheet for the Fiscal Year 2020 campaign! View MLAC’s House Amendment Fact Sheet – encouraging legislators to co-sponsor amendment #1095 to increase civil legal aid funding to $24 million in the House budget. Civil legal aid programs in Massachusetts provide legal assistance to low-income individuals and families in a variety of cases, including housing, employment, education, health care, and family law, among others. Below are a series of fact sheets created by the Massachusetts Legal Assistance Corporation that detail the types of cases closed in each issue area, as well as specific ways civil legal aid helps clients. Civil legal aid has broad support from the legal, business, and nonprofit communities in Massachusetts. Click the link below to view the list of community organizations that have endorsed MLAC’s FY20 budget request. To view the letters of support submitted to the governor and the legislature by the law firm managing partners, corporate counsel for businesses and organization, county and affinity bar associations, as well as the deans of all nine Massachusetts law schools, visit our Letter Campaign page. Despite the promise of “equal justice for all” embedded in the Massachusetts Constitution, many low-income families in the Commonwealth are denied access to justice every day because they cannot afford attorneys to help them navigate the complex civil legal system.